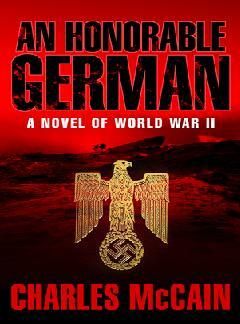 HERE IS WHAT THE READERS ARE SAYING ABOUT THIS GERMAN SUBMARINE NOVEL. . . I have a wife and two small children to support and you go and write a novel that is almost impossible to put down. I found your book by chance in Barnes and Noble on the new fiction table…. I have seldom read a book like it, one that keeps your interest and you can't put it down till you finish it. I can hardly wait for you to write another great one like this one, but don't take that many years as I am 78 and really can't wait. I’ve never written an author before, but I enjoyed An Honorable German so much that I felt I had to take advantage of this technology of ours and applaud you. A wonderful read and haunting. I’m a lieutenant on active duty in the U.S. Navy assigned to a nuclear-powered fast-attack submarine… As a professional submarine officer and a naval historian, I couldn't read the book fast enough.